Do you have a <a href="http://www.inhabitots.com/?cat=12051">birthday party</a> or two or your child's summer calendar? 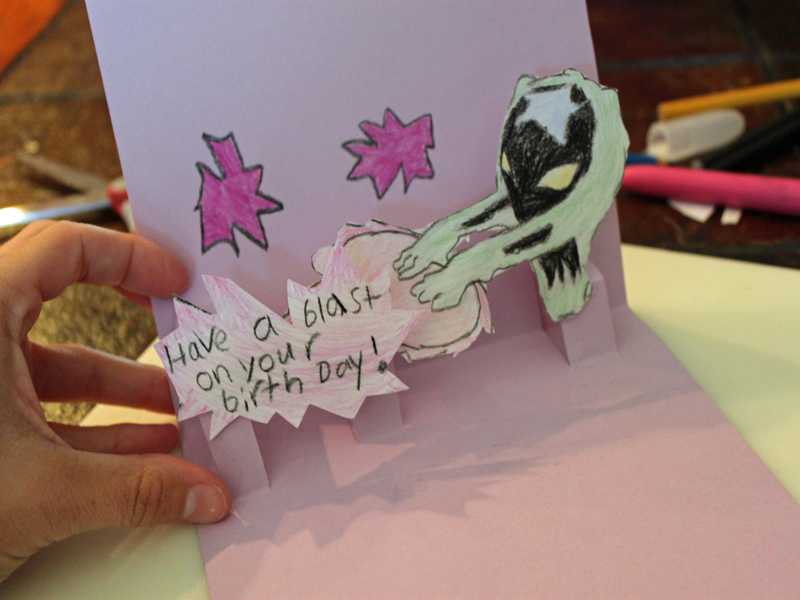 Wouldn't it be fun to surprise someone special on their birthday with a <a href="http://www.inhabitots.com/make-your-diy-book-projects-pop/">pop-up</a> card designed just for them? That's exactly what my son and I decided to do to surprise a close family friend. What's even better is that the supplies we used are eco-friendly and recycled. 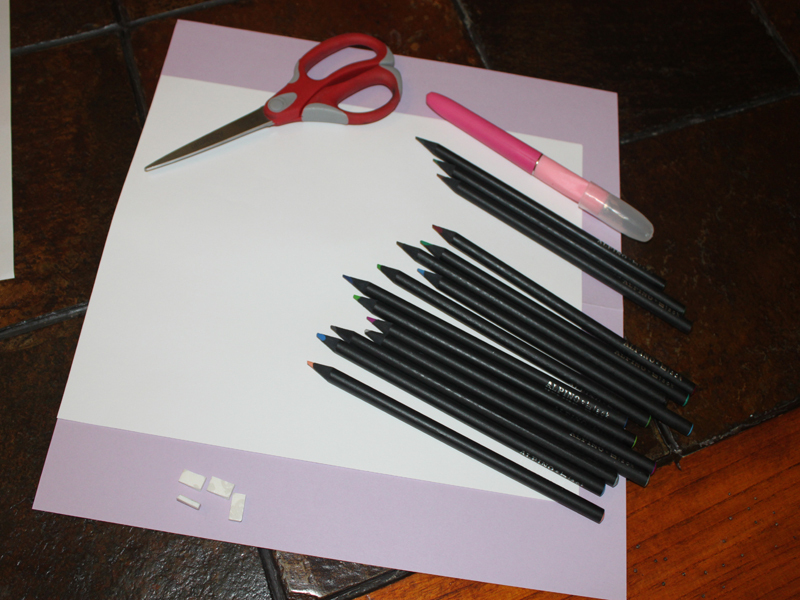 Read on to learn how you can make a <a href="http://www.inhabitots.com/?cat=311">DIY</a> pop-up card that will wow your friends and family. 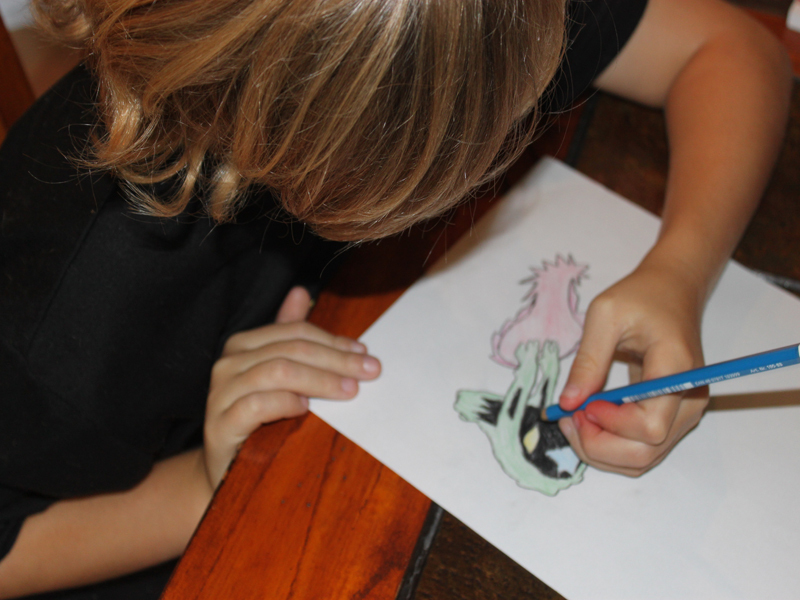 <h2>Step 1: Create the Design</h2> Give your child a stack of recycled paper and <a href="http://www.inhabitots.com/faber-castell-max-colored-ecopencils-for-green-art-projects/">eco-friendly colored pencils</a> and ask him to create a design to go on the inside of the pop-up card. 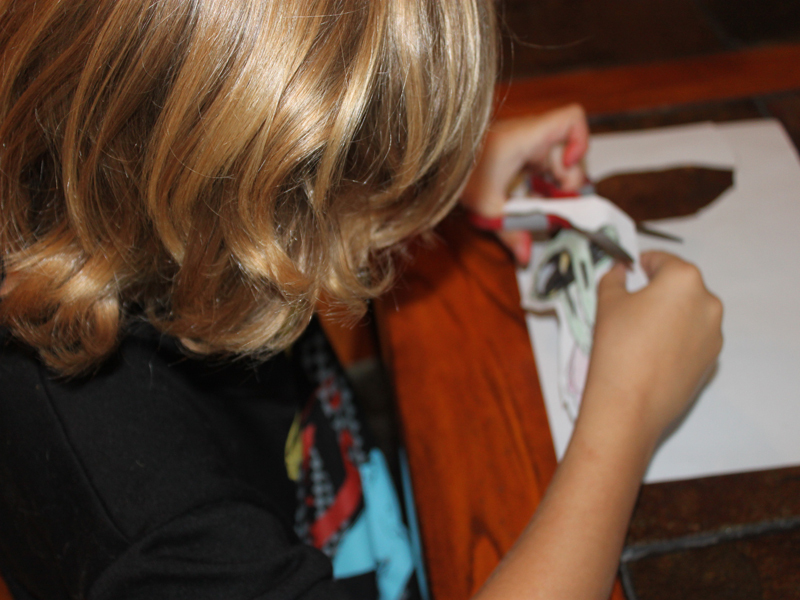 <h2>Step 2: Cut the Design Out</h2> Have your child cut the design out with child-safe scissors. 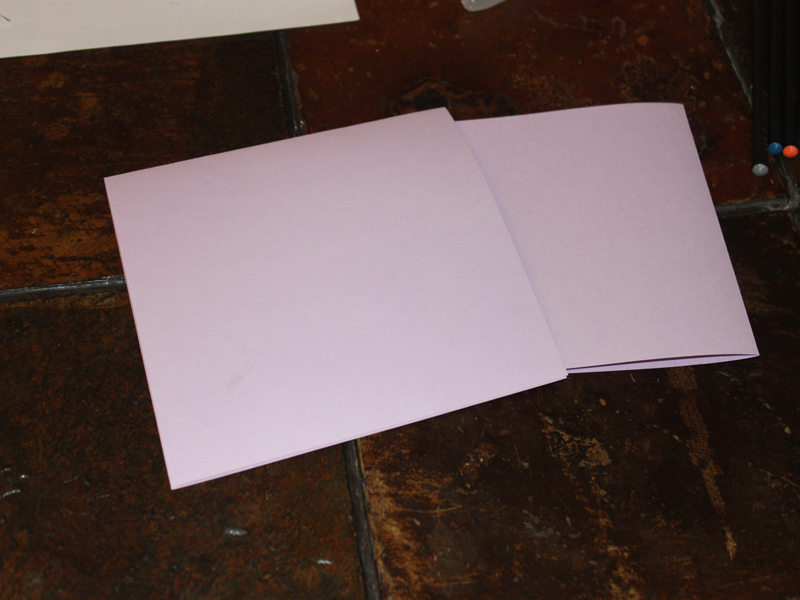 <h2>Step 3: Fold</h2> Fold your card stock in half to create the body of the card. 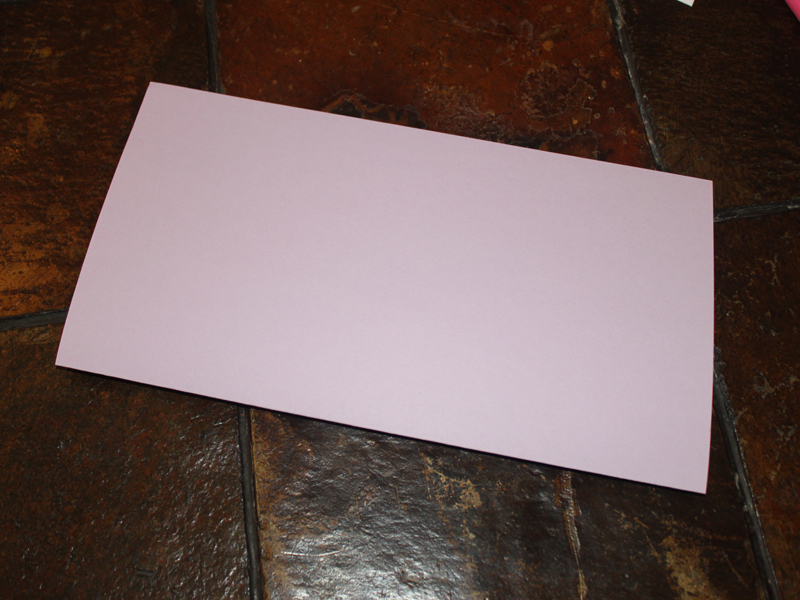 <h2>Step 4: Cut the Card</h2> Cut the card stock down to a size that will fit inside of your envelope. 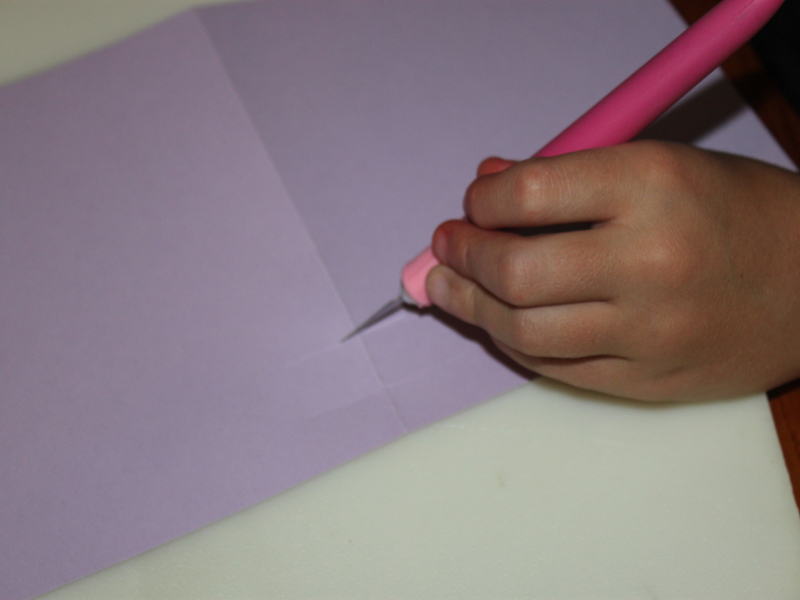 <h2>Step 5: Cut the Lines for the Pop Up</h2> Use your cutting tool to cut two symmetrical lines wherever you want an element of your card to pop out. You won't want to cut the lines more than the length of your card, or your card won't close properly. 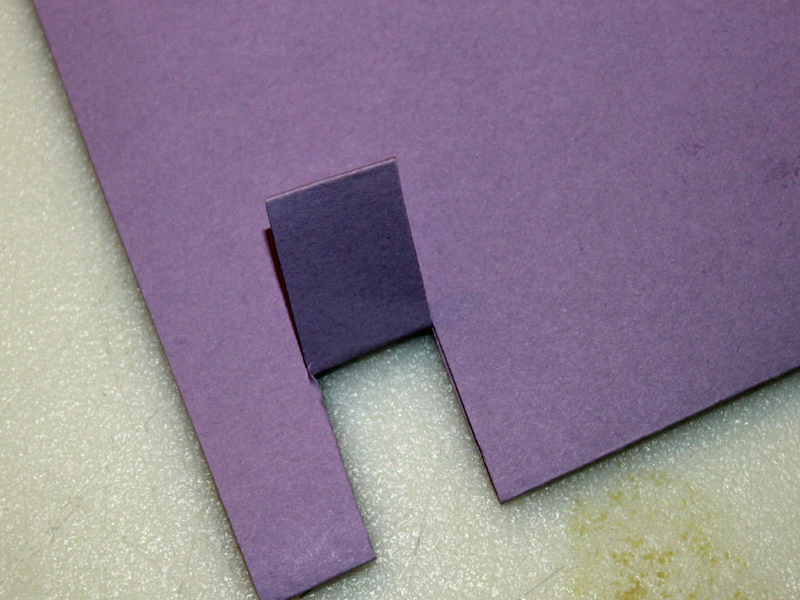 <h2>Step 6: Fold the Card so the Pop-Up Pops</h2> Fold the cuts, then unfold so they are again flush with the card. Reopen the card. <h2>Step 7: Add the Design Elements to the card</h2> Using glue or double-sided tape, secure your child's picture to the inside of the card. 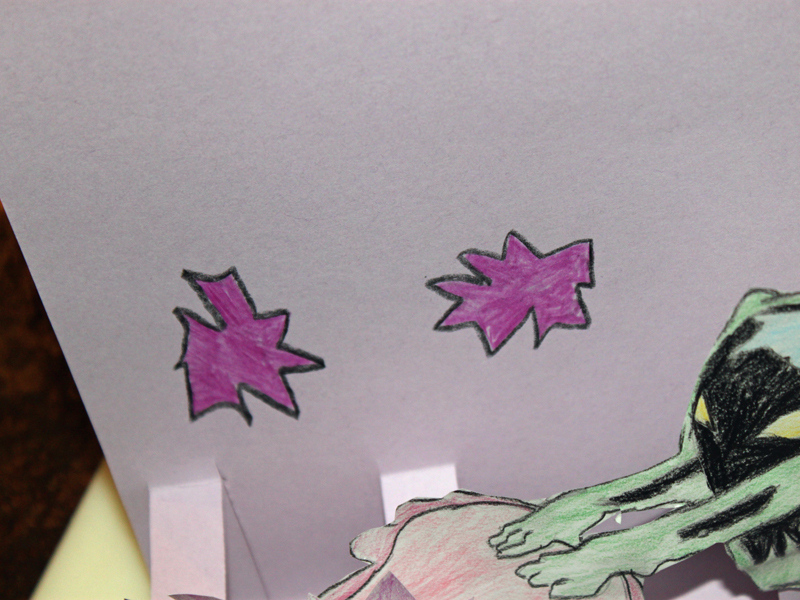 <h2>Step 8: Let your Child Decorate the Rest of the Card</h2> Give your child creative control and allow them to add any other design elements to the card. <h2>Step 9: Surprise a Friend</h2> Encourage your child to give the card to a friend or family member and watch them smile with delight. Do you have a birthday party or two or your child's summer calendar? 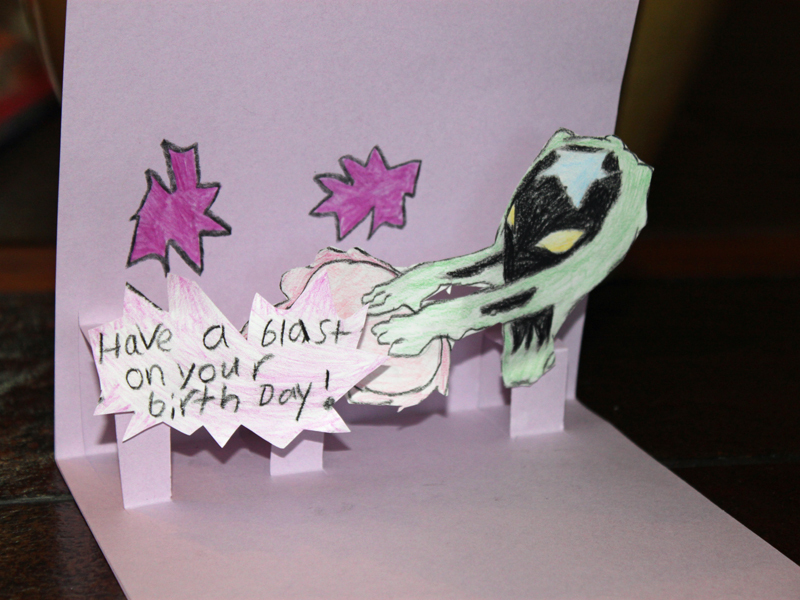 Wouldn't it be fun to surprise someone special on their birthday with a pop-up card designed just for them? That's exactly what my son and I decided to do to surprise a close family friend. What's even better is that the supplies we used are eco-friendly and recycled. 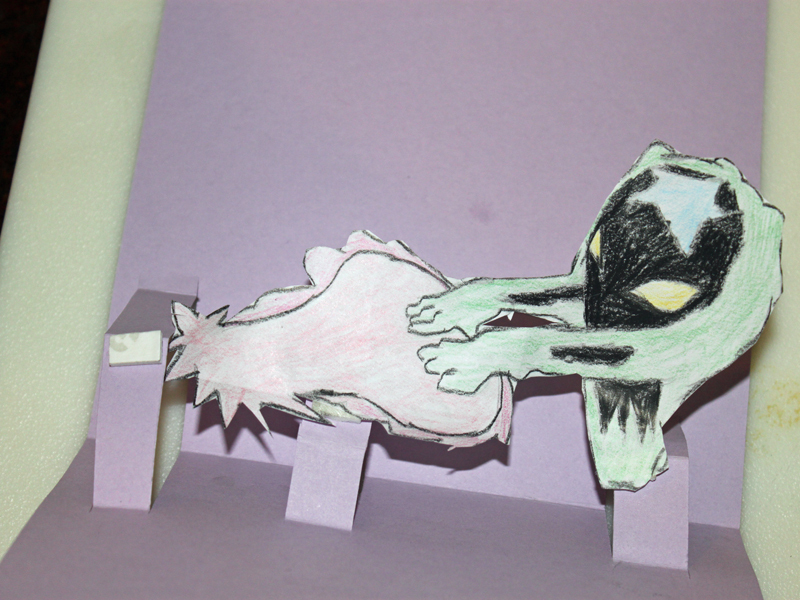 Read on to learn how you can make a DIY pop-up card that will wow your friends and family.